So we are now in October (Where did the September disappear?) and as every first Tuesday of the month, I am picking the best this to buy right now. You can read about September pick here. And what is it for October? 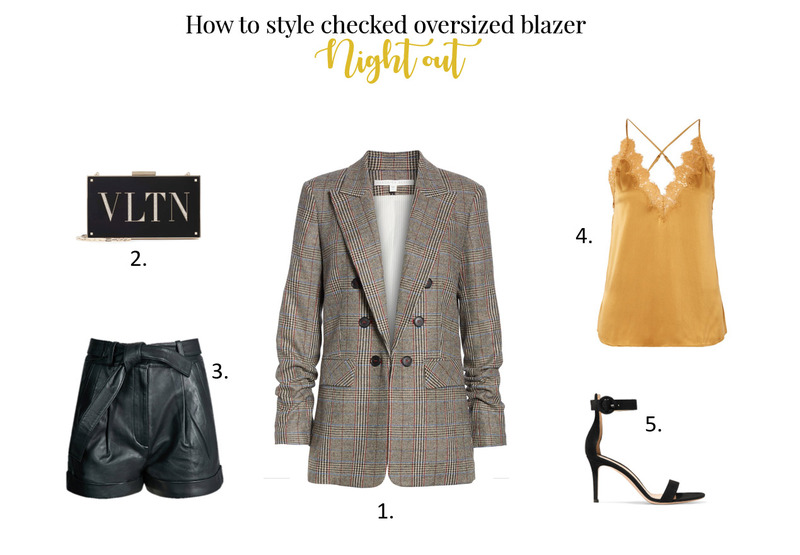 The best thing to buy this month is oversized checked blazer. It is not the first season, that we see checked blazers or trousers or anything else actually. Name a piece of clothing and you can be sure, there will be checked version of it. 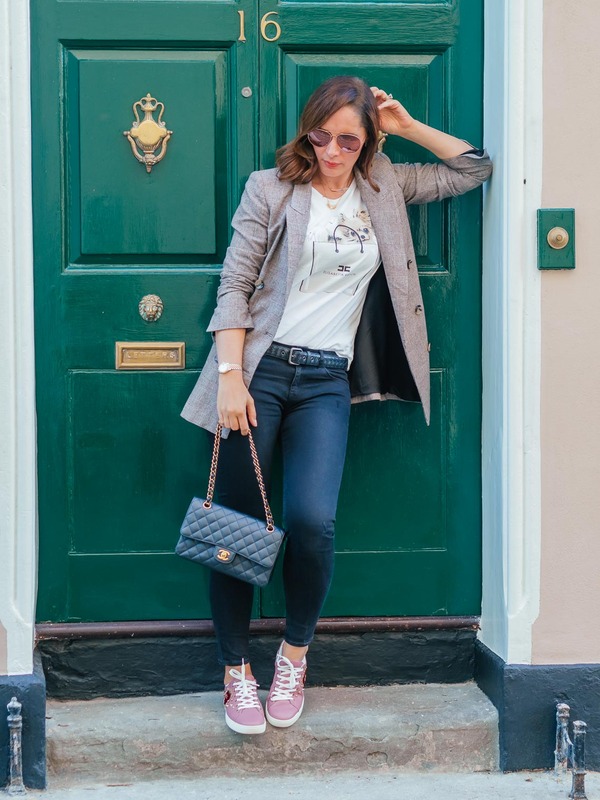 So do you want to know why the checked oversized blazer is best thing to buy this month? Well hear me out. Every autumn, there is an overflow of everything checked. You can buy anything really, but some of the items you might not wear next year. They might seem boring. But that doesn’t need to be the case the blazer. It is classic, simple and can look very timeless. 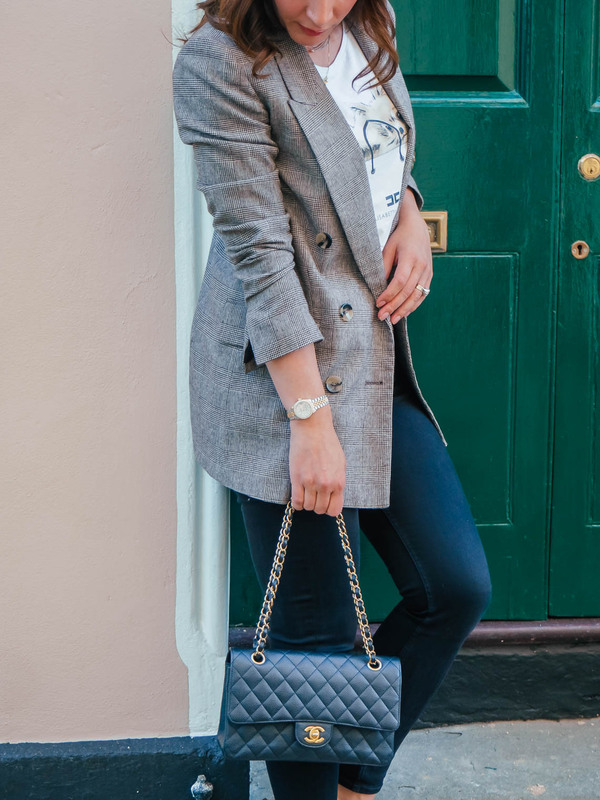 A good quality checked oversized blazer will look good in years to come. Why oversized and not fitted? I think oversized checked blazer simply look much better. Maybe it is something to do with the cut. When it is fitted, it is hard to find such a good quality piece where the checks would actually match on the seams. When you look at the oversized version, the cut is more square-ish and therefore even cheaper version will probably look good. 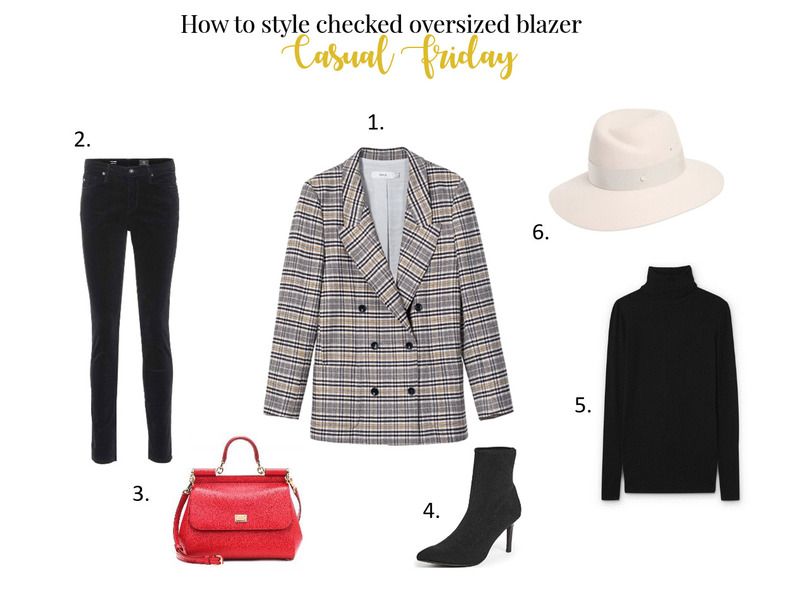 Checked oversized blazer is very simple to style and it is one of those things you can just throw on every day. It will look good both with pants and skirts. You can dress it up or down based on where you go. For the office, you can wear tailored trousers and white shirt while for shopping trip with girls you just put on slim jeans and cool sneakers. In the evening you can dress it up a little with a mini skirt and over the knee boots. 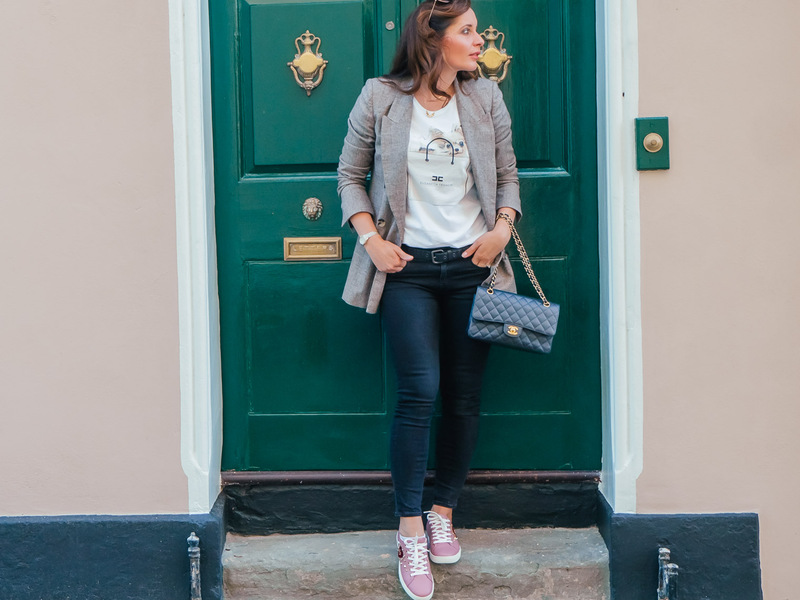 As I have to be quite quick in the mornings to do school runs I like wearing my jacket with simple loose white t-shirt, slim jeans and sneakers. It is kind of the throw-it-on kind of outfit. 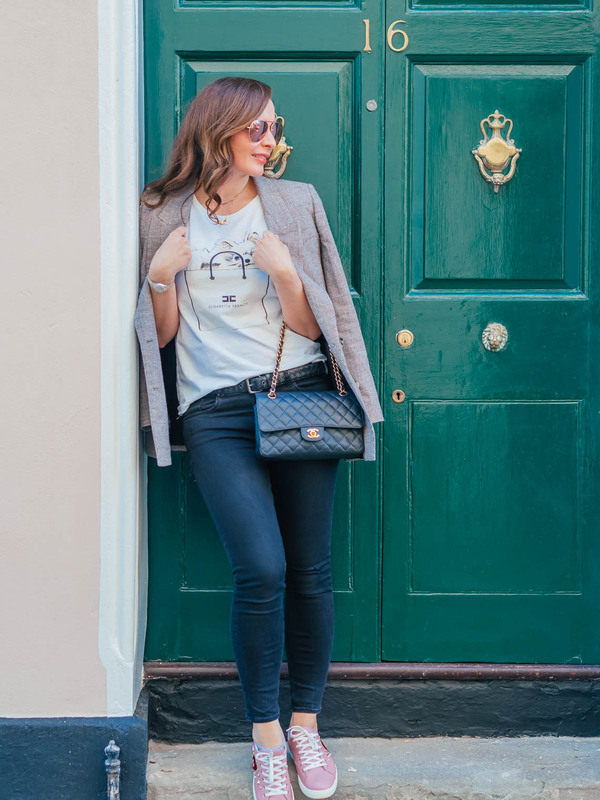 Comfortable yet stylish and easy to wear. Also great for the weekend. When I want to look a bit more chic and my kids don’t run around requiring my attention, I like to put on heels. Now that the temperatures are lower, I am happy to wear occasionally ankle boots. My second look is also extremely easy to put together. You just need good quality slim jeans and turtleneck sweater. 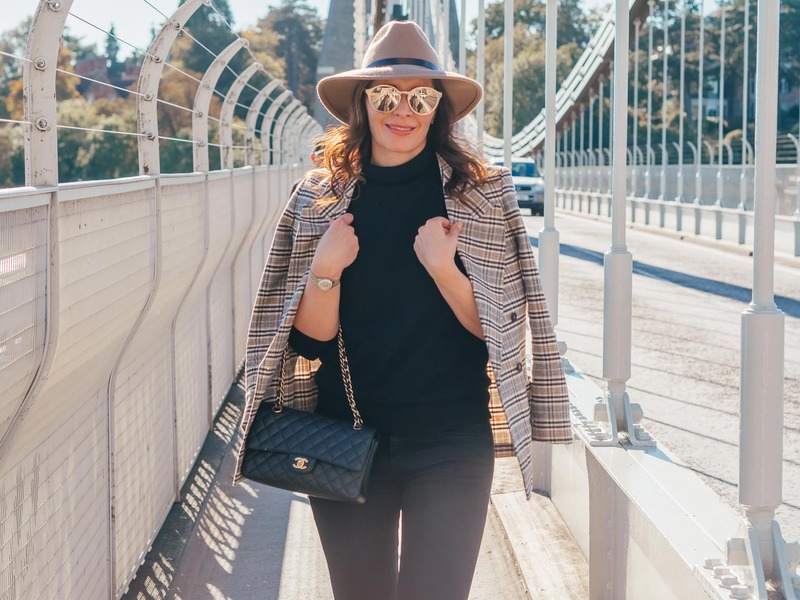 I really like wearing all black in combination with this Myala checked oversized blazer and camel hat. Don’t you love wearing hats in the fall? If you work in an office, this outfit would be great for casual Friday. Can you wear it on a date night in the evening? Oh yes, you can. I have prepared a collage for your to get some inspiration. I really like the combination of the shorts and long oversized checked jacket. Instead of short you can wear a mini dress. You could also go for a long dress (or skirt) but if you read my recent post, you would know what I think about that one. I like to style the shorts with cami top like this one or this one and high heels. In the winter you can swap bare legs for thick black tights and classic Stuart Weitzman over the knee boots like these or bit cheaper version like these. 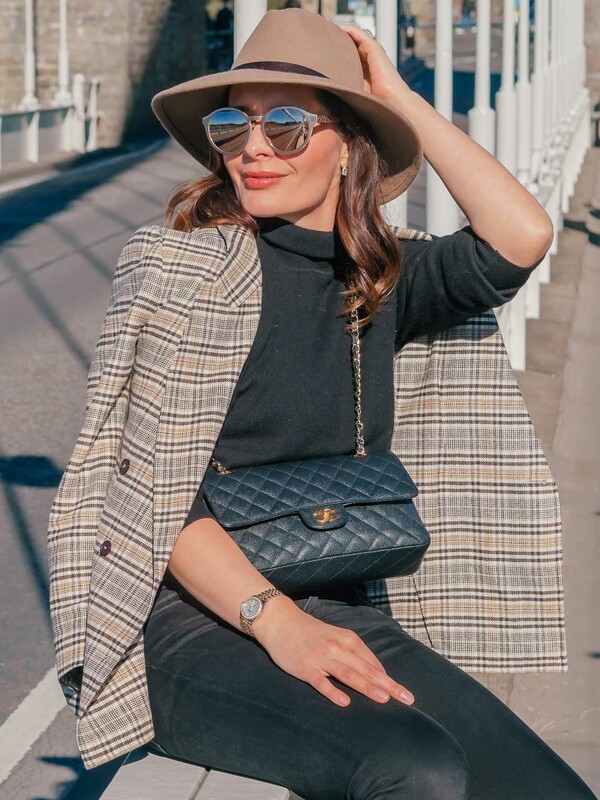 Do you like the checked trend? 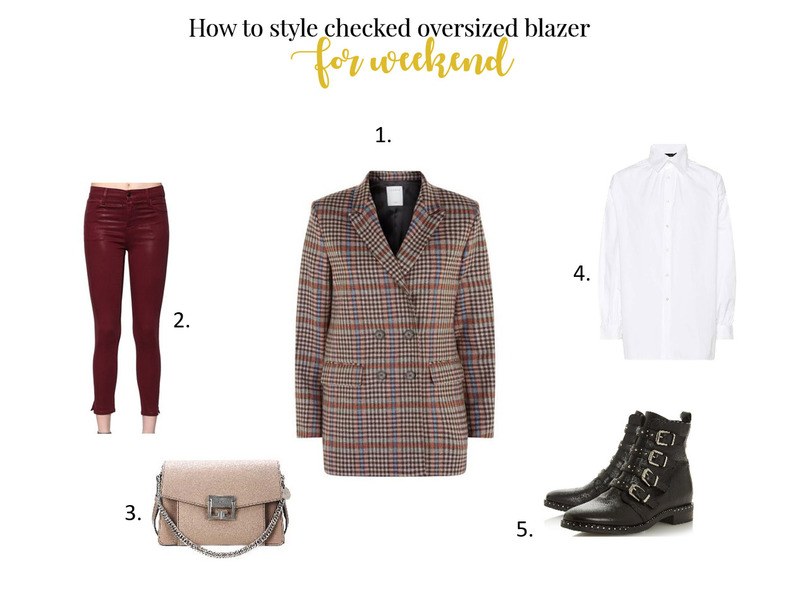 And what about checked oversized blazer? 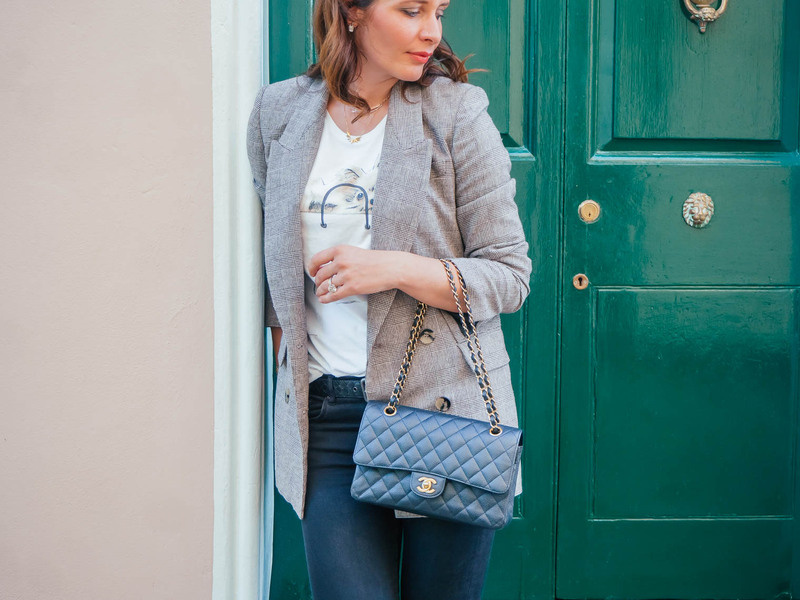 Loving your blazer, it’s really cool dear!